Six Health Reasons to Add Green Tea to Your Diets! Drinking green tea has numerous health benefits. Aside from fighting heart diseases, cancer and other seasonal ailments, green tea is proven to fight fat as well. So if you are not taking your cup of herbal tea now, it is time to put down the coffee and drink to your health. Green tea is considered as one of the healthiest drink, all around the globe. The tea-leaves that make green tea contain large amounts of important nutrients. They are laden with polyphenols, which function as powerful antioxidants. This compound helps in protecting cells and molecules from damage and plays a role in fighting all sorts of diseases. There is increasing evidence that thanks to green tea (as well as black tea) and its catechins, you can improve cholesterol levels and lowkiner the blood pressure. In a review from 2011 and 2013, drinking green tea enriched with catechins is said to provide positive effect on health by leading small reduction in cholesterol. Green tea helps to raise metabolism and speed up fat oxidation by facilitating the thermo-genesis process. 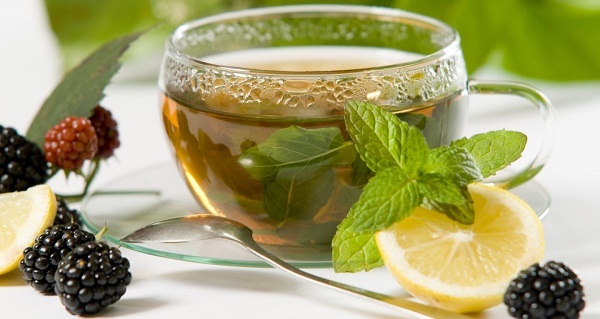 Green tea also keeps the body hydrated, which is vital for maintaining a healthy metabolic rate. One study states that if you drink five eight-ounce cups of green tea a day, you can increase your energy expenditure by 90 calories a day. As stated before, Green tea aids weight loss by offering you antioxidants, caffeine, and EGCG that aids in slowing down the weight gain. 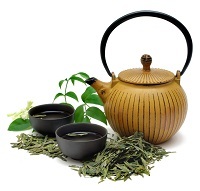 Several studies show that green tea leads to decreases in body fat, especially in the abdominal area. The amino acid L-theanine found in Green tea helps in production of alpha waves in brain to keep you alert. The combination of L-theanine and small amounts of caffeine in green tea is potent at improving brain functions. Stroke, one of the biggest causes of death in the world, can be prevented by taking a cup of green tea everyday – according to studies. As herbal tea helps in lowering the cholesterol, LDL cholesterol and triglycerides (main risk factors of the disease), it slashes the risk of stroke by up to a third. The health benefits of green tea are far too many for people who drink it every day (hot or iced). If you want to load your body with antioxidants and nutrients to add positivity to your mind and body, make sure you drink your cup of tea on time.